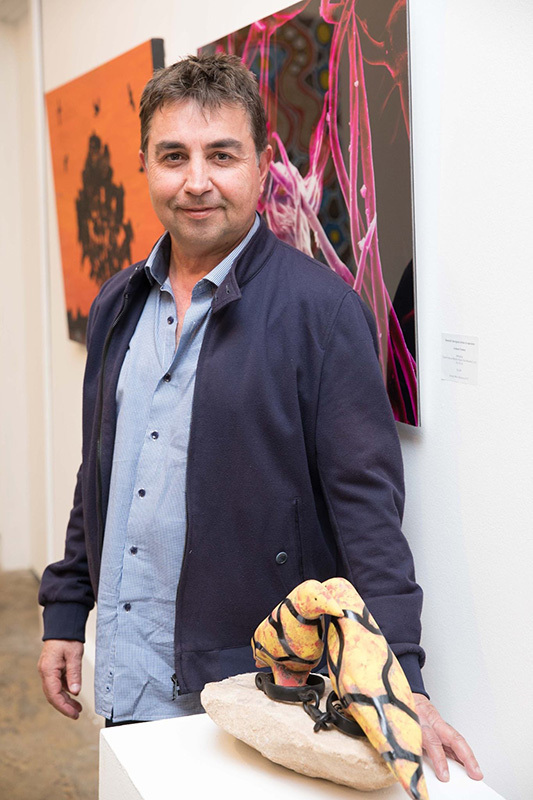 Graham Toomey is an emerging Aboriginal artist from the Wiradjuri and Wongaibon Aboriginal nations of western New South Wales.“All my life I have always loved art. At school I always looked forward to the art class and I remember how good it made me feel. Those feelings still live with me today and I feel blessed that it’s a part of my life. 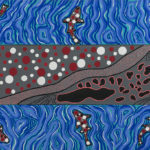 I also feel blessed to be an Aboriginal from the Wiradjuri and Wongaibon lands and to feel the belonging and connection to not only my own homelands, but to the land and to its water whereever I journey. While I was studying Aboriginal art some years ago, I constantly felt a spiritual force or presence with me while I was creating. I feel this spiritual happening was, and are, my ancestors, who provide knowledge, ideas and thoughts to create works. I feel this is their way of connecting to me and to this world, while I connect to them and to their world.